The New Yorker writer and acclaimed author Elizabeth Kolbert has a penchant for depressing topics. 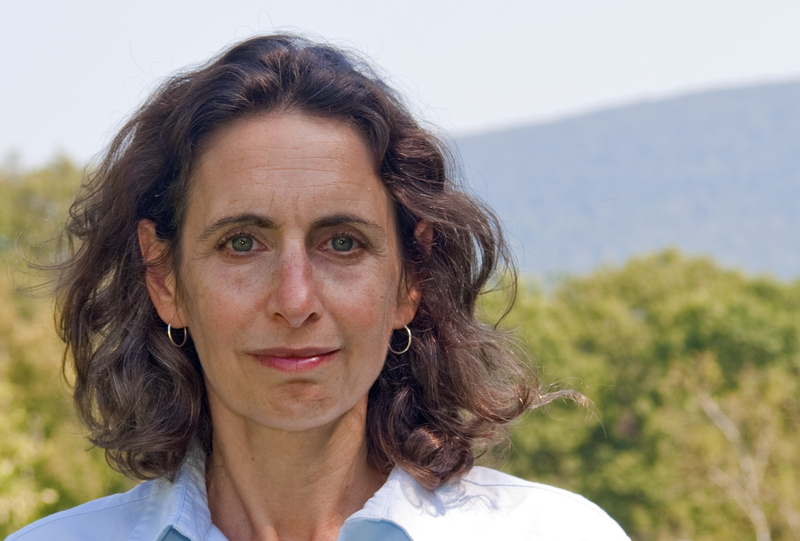 Her 2006 book, Field Notes from a Catastrophe, helped push climate change into the mainstream (with bonus points for not mincing words in the title). Now that climate change is safely keeping most of us up at night, Kolbert turned her pen to another big bummer: the sixth extinction. We’re currently losing species at a rate of 1,000 to 10,000 times higher than unassisted nature wiping out the occasional newt. While humans weren’t responsible for the last five mass extinctions, our fingerprints are all over this one. Yep: We collectively have the force of an asteroid when it comes to erasing species (high five, guys!) and for the most part, our response has been classic Urkel. Kolbert dropped by the Grist office to chat mass extinctions, climate inaction, and whether there’s any hope (short answer: no. long answer: probably not). Here’s an edited and condensed version of our conversation. Q. How much do scientists attribute the current wave of extinctions to climate change versus things like deforestation or chemical pollution or invasive species? A. The fact of the matter is that there are probably, right now, no extinctions that can be directly attributed to climate change. But there are many extinctions that can be pretty directly attributed to invasive species. So if you are just chalking things up, invasive species definitely have a big place. But people trying to looking into the future with things like modeling — which may or may not be correct, but we won’t necessarily be around to see it — tend to project that the climate is going to become a major driver of extinctions over this century, for all the obvious reasons. Q. How do we stack up in the extinctions? Like, wow, the Permian extinction is way better, but we’re better than the Chicxulub crater. Are we close to being the best extinction? A. Well, that’s an unanswerable question, but I will say that I’ve now had several very serious scientists say to me, “We cannot rule out an outcome like the end Permian extinction.” If that ain’t sobering, I don’t know what is. A. The end Permian extinction was almost certainly caused by a huge CO2 release, and no one is quite sure from where. And the scope of it was quite enormous. We’re not there yet, but if we burn through everything, I think we could get there. Are we capable of getting there? These are questions that no one can answer at this point. Q. It wasn’t until the late 1700s or early 1800s that the concept of extinction was even thought about. What process led to that discovery? We now know that there have been five extinctions to date, so a lot has occurred in 200 years in terms of our awareness. A. As Europeans colonized North America and South America, they found a lot of fossils. One of the major finds was in the 1730s by French soldiers who were going down the Ohio River. They come to this site in what’s now Kentucky and they find mastodon bones, which they shipped to Paris. People played around with it for a long time until this French naturalist, who’s sort of a main character in the book, came along. [Georges Cuvier] made this (what we would consider) not very scientific observation that if these animals were out there, we would have seen them already, so they were gone. He made that logical leap of faith. And he was right! He was the first person to really theorize extinction. Q. There have been five extinctions, and each time Mother Nature has brought things back in a different direction — so can’t you see some hope in that? It may not involve humans. A. If you take the really long view, yeah. Really long. Super long. People make this point about the planet. Well, the non-living planet will be fine. Even most microbial life will be fine, and what are we worried about? Vertebrates? People have said to me, “If the dinosaurs hadn’t been done in, we wouldn’t be here.” That is most certainly true, yeah, but it did take 66 million years, and for a while if you’d been around — I wasn’t there — it would have been pretty grim. The end Permian didn’t do in life on Earth, and we will not do in life on Earth, but I think most people have a hard time seeing that — something that not even their most distant descendants will be around to see — as a hopeful thing. Geologists take that sort of view. Q. On the scale of bummed-outed-ness, which one of your books caused you to be more depressed? Your previous book, Field Notes from a Catastrophe, is one of the most important books written on climate change to date, and really helped introduced the topic to a whole new range of readers. A. For Field Notes, I interviewed a lot of the country’s top climate scientists, and they all agree that [climate change] is a pretty clear and present danger to human society. And yet, we can’t seem to come to terms with that at all. So it seemed to me that a species that can’t even do the sort of things that seem to be called for, for its own self, is that species really going to do the things called for everything else on the planet? It’s maybe a little bit of writerly vanity — you say, OK, I’m going to put this out there and it true and it’s going to make a difference. The same year that my book came out, An Inconvenient Truth came out. It had a huge impact, but — what happened? Nothing happened. So I was already pretty bummed out, I guess. Q. You visited different natural places around the world. What was your favorite thing that you encountered? A. I’d say the most astonishing place I went was the Great Barrier Reef. I got to go to this very tiny island — the islands on the Reef are built out of the reef, the height of a table, basically, they’re very low and they’re all made out of coral — and they’re spectacularly beautiful. This tiny little research station was on this island. Going out on the reef — you know, you see nature movies and stuff — it’s even better than the nature movies. Unfortunately I don’t dive, but even just snorkeling was amazing. You never have access to that on land, you never see that many different living creatures. Even if you were in the middle of the Amazon, you’d just see leaves! But when you’re looking underwater, it’s just spectacular. And as you know — I was out there with a bunch of scientists studying ocean acidification — the prognosis for reefs is really, really grim. Q. You also write about some efforts to save species. Could you share some of those? A. I happened to go to the San Diego Zoo, where they have a very impressive conservation program. I was there to see something called the “frozen zoo.” It’s just a bunch of vats of liquid nitrogen with cell lines from, in many cases, highly endangered animals and, in one case, an animal that doesn’t exist anymore, a Hawaiian bird. The idea is pretty much what it sounds like: You have these cell lines, you’re going to keep them alive forever, and eventually people are going to figure out how to resurrect some of these species. Or maybe if you don’t want to go quite that sci-fi, we’ll take the cell lines, we’ll do a DNA analysis, we’ll try to figure out why this population is having trouble. They took me to see this bird named Kinohi, one of the last Hawaiian crows. He’s “reluctant to part with his genetic material,” let’s put it that way. He had been taken from this breeding facility on Maui to San Diego, and he is ministered to by a PhD physiologist who is trying to, let’s say, pleasure this bird, so that he will give up some sperm, so she can artificially inseminate a bird back in Maui. When I visited he had not yet, you know, come through. She was literally preparing to try again — I don’t know if it has ever worked, I should call her. That was really, to me, emblematic of this crazy situation we find ourselves in. We’re incredibly smart, we’ve figured out how to freeze cell lines and quite possibly bring back extinct animals — we’re willing to pleasure crows. And yet, the Hawaiian Islands are called the extinction capital of the planet — it’s an absolutely devastated ecosystem. Many, many birds are extinct already; those that aren’t are just clinging to existence. Those forces are not changing and, in fact, things are getting worse. There used to be no mosquitoes in Hawaii; there are now mosquitoes. They carry avian malaria, and as the climate warms, avian malaria is moving up the slopes so that even these refugees species that are high on the mountains are increasingly not there. A lot of birds are in terrible trouble there. All of these things are happening at once and, once again, they’re all true. People are devoting a lot of time and energy and love to trying to preserve these species, and meanwhile the world is increasingly screwed up. So that is how I end the book: They can both be true; it’s not one or the other.